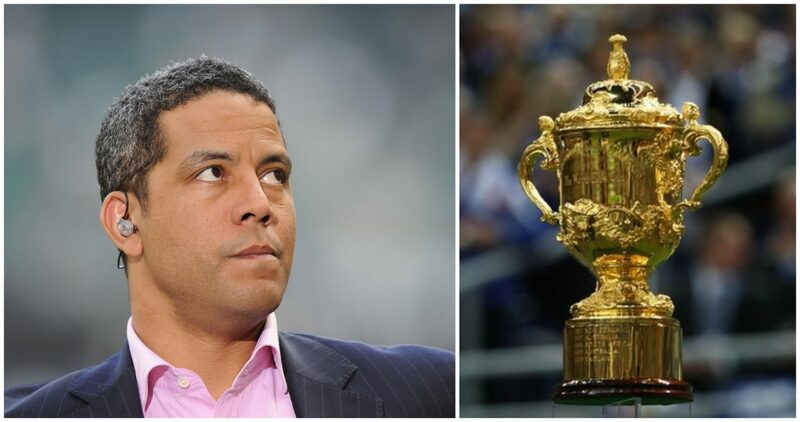 England legend Jeremy Guscott picks a dream team of Rugby World Cup winners (1987-2011 in The Rugby Paper. In terms of a traditional full-back hitting the line, Gallagher did it as well as any No.15 I have seen. He was elusive, and very quick, and the way the All Blacks brought him into the line was not just a joy to watch, but it must have been a fantastic feeling for Gallagher because it was making the most of a great talent. He was not the greatest defender, but in that 1987 New Zealand side he did not have to defend much anyway. Robinson was a superstar in Rugby Union and Rugby League, but it took him half the time to become a household name when he came over to the fifteen-a-side code. He left as one of the true greats, and as the biggest cross-code success in professional Rugby Union. His speed over anything from 0 to 35 metres was quicker than anything I’ve seen, and his ability to work a 5-metre channel and leave defenders on their backsides with his changes of direction was incredible. Arguably one of the best outside centres there has been who provides the foil for the New Zealand stars to shine. Smith quietly goes about his business, is deceptively quick and strong and shows that you don’t have to be a 15stone plus centre to have an impact these days. Winning two World Cups tells it all. He was a pocket battleship with electric pace, and very tough. He tackled extremely hard for a small man, and in terms of pound-for-pound strength was like Scott Gibbs. One of the best, and in 1999 came back from a knee reconstruction to be the player of the tournament. You cannot say more about him than he’s already said about himself, but Campese is one of the most gifted players every to pull on a pair of rugby boots. For pure talent and instinct he is up there with Gareth Edwards and Jonah Lomu – that is how much impact he had on the game. Campo did not have exceptional pace, but his timing, running lines and skill, in terms of passing and kicking, were extraordinary.